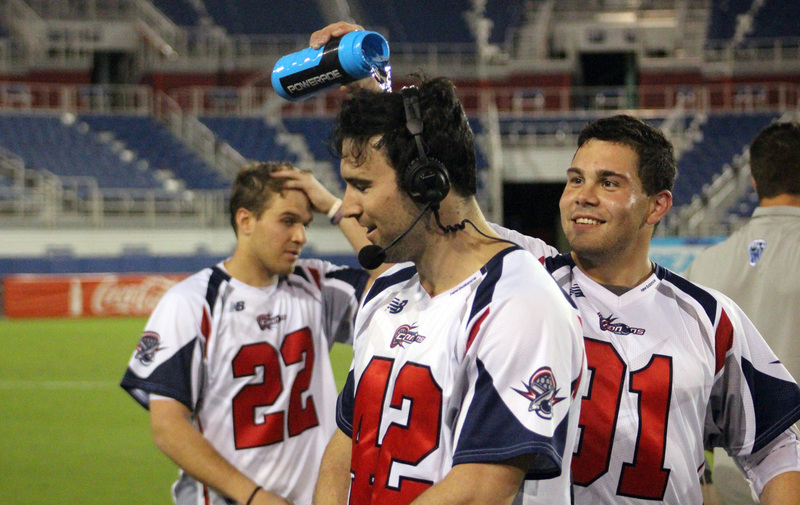 The Boston Cannons soundly defeated the Florida Launch 15-9 on a balmy Thursday night at FAU Stadium to pick up their first win of the season. Highlights for the Cannons included two 2-point goals by Max Seibald. He also scored two more goals. Brodie Merrill, who recently finished his NLL season, seemed to have a tough few minutes transitioning back to the outdoor game, but he was back to playing solid defense after the first quarter. The Launch appeared much more focused in the beginning of the game. They also seemed to be mounting a comeback in the fourth quarter. However, the point differential was too large to overcome. Strong games were had by Sergio Salcido, Dylan Molloy, Kieran McArdle and Nick Mariano, who each contributed two goals to the cause. The Launch fall to 2-2. They will look to get back above .500 next weekend when they host the New York Lizards at FAU Stadium. The Cannons also suffered a weekend loss to the Atlanta Blaze which puts their record at 1-4 and in last place.